Oh, Canada, you kind-hearted, rugged purveyors of the all-denim ensemble. Americans have a…confused relationship with our more civilized neighbors to the North (AOL keyword: healthcare). It’s possible the volatile mix of envy, contempt, and sheer bewilderment we collectively harbor may have to do with the fact that people might choose to live in Winnipeg or Windsor over Wyoming. The proximity of our two countries only seems to create more distance. The same goes for our mostly shared language, “soorry” and “aboot” notwithstanding. In the oughts, it wasn’t uncommon to overhear left-leaning Americans make (mostly) empty threats to jump ship if a certain barely literate, hawkish presidential candidate got elected to office (hint: he’s an amateur painter). In the past 15 years, the reality is that Canada has become an international destination for reasons that extend beyond the Electoral College. American b-schoolers in particular are rejecting offers from domestic programs in favor of Canadian MBAs. Marcia Annisette, Schulich’s associate dean of students, explains that that faculty and student bodies of the typical Canadian Business School tend to be “more internationally diverse than their US counterparts.” This is especially true at Schulich whose multicultural student body is 60% international. Canada’s international appeal is one echoed frequently by many American students who choose to study in the Great White North. 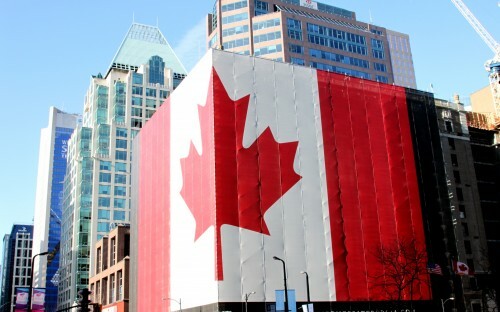 Jessica Erdman, class of ‘2019 at McGill’s Desautels Faculty of Management, was struck by how Canada readily welcomed immigrants and embraced diversity. “[Desautels] offers the diversity that is often spoken about in American MBAs, but rarely seen on the ground,” she says. Marie-Eve Roy, the director of recruitment and marketing for Desautels explains that diversity and inclusiveness are built into the curriculum: “Students completing a two-year MBA program are eligible to receive up to a three-year work permit in Canada. This gives students the opportunity to stay in Canada after they graduate and get some Canadian work experience if they wish to do so,” she says. For many, the relative affordability of a Canadian MBA is what lures them across the border. Marie Lyster, business development and recruitment manager at Concordia’s Molson School of Business in Montreal, explains that employment opportunities for such a low-cost degree make Molson’s ROI “significant,” particularly for American students. “The cost of our MBA is a fraction of the tuition fee of most US MBAs—for an internationally-accredited program with extensive experiential learning opportunities,” she says. For some American students like Jessica at Desautels, one of the selling points of a Canadian MBA is the cachet it has back home—offering a high caliber education that easily translates back to the US market. Last but not least: Canada is a pretty swell place to live, often considered among the world’s best in terms of quality of life, education, and safety. Three of Canada’s most prestigious business programs are based in Montreal, consistently ranked as the world’s best student city. For Casey McKenna, an MBA student with specialization in Arts, Media and Entertainment Management at Schulich, concerns related to quality of life were a critical part of her decision to move. Canada’s progressive healthcare policy drew her across the border.